CCH (Concealed Carry Handgun) course will be up to 8 hours. 5-6 hrs class room time. Basic introduction to handguns and ammunition. Firearm manipulation, marksmanship and practice procedures. There will be short videos depicting actual situations and what the Best Defense would entail. Discussing Kansas Castle Doctrine and Stand Your Ground laws and legal issues relating to the “use of force” laws, protecting property and persons. How to interact with law enforcement, during routine misdemeanor & after a self-defense incident. How to respond to an aggressive altercation. Situational awareness and the “after the fact” trauma and stress of a situation. Making your own medical emergency kit. At the end of the classroom time there will be a 50 question multiple choice/true false written test. To qualify, you will be required to shoot 25 total shots fired from 3 distances: One 5- shot string from 3 yards one-handed, two 5-shot strings from 7 yards two-handed, and two 5-shot strings from 10 yards two-handed. YOU MUST PUT 18 OF THE 25 INTO THE TARGET ZONE TO QUALIFY. I recommend you bring your own handgun you want to qualify with. If you do not have a firearm, or you choose not to use the one you carry, I will have a Ruger 22 LR semi automatic handgun or a Ruger P95 9mm firearm that you can use to qualify with. You will need to bring a box of 22LR or the required amount of 9mm ball ammo with you IF you choose to use my firearms. At least 25 rounds of factory ammo. ( please.. no reloads) More if you want practice time. No holsters will be allowed or used. We will be shooting from a table. Bring a sack lunch, snacks and non alcoholic drinks of your choice. ( we will not leave the building for lunch, but will eat while continuing with the class) Coffee and Tea will be provided. We will also take short breaks throughout the day. Classroom time will be held at The Cox Building at the northwest corner of Wabash and Washington (on the main street of Howard.) Class will start at 8:00 am. ( doors open at 7:30) and will end after shooting qualifications are completed. Range time is done on private property, 6 miles west of town on country roads. I will provide directions the day of class…and we will all caravan out together. You can register online and pay me personally with a check or cash or credit card. You can wait and pay me at the beginning of the class upon arrival of the class date. Deadline for registration will be 2 days before day of class. Classroom time will be interactive with everyone taking part. You will have a chance to discuss issues, ask questions and engage in hands on procedures throughout the class. This course will be fun and enjoyable, taught to you from a down to earth, easy perspective of a fellow CCL card holder. Because of the wide range of ages and differences in people, I ask that you please be considerate of all those in the class regardless of firearm and shooting experience. The legal and practical aspects of acquiring, carrying, and using a firearm for self-protection. Class is conducted with aid of a power point presentation.. videos.. and a complete set of handouts. 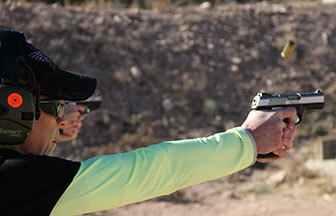 This class fulfills the training requirement for a Kansas Permit to Carry a Handgun. It also serves as a basic introductory course in the safe handling of firearms. After completion of class, take your certificate of completion to the sheriffs office of your resident county to apply for the permit to carry. There you will have a set of fingerprints and a photo taken and a fee will apply.